MAGIK RAINBOW G-JOZEPHINA -JCAC, Junior Best of Breed, Best of Breed, Best In Group-1, BEST IN SHOW JUNIOR-1, BEST IN SHOW-3 !!! Magik Rainbow BENTLEY - CAC, BOS, BOB, Best In Group-2!!! 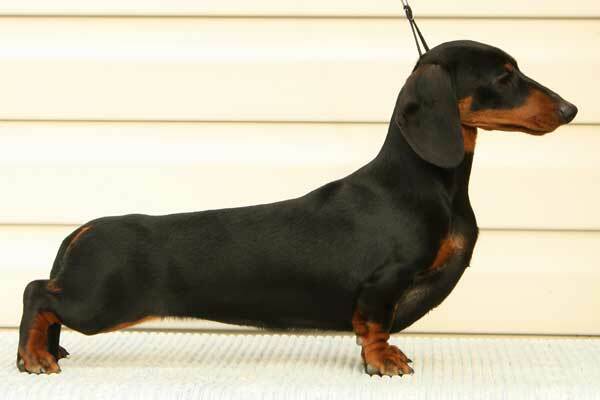 MAGIK RANBOW BRABUS - CW, CAC, BOS, Ch.RFLS, Best Of Breed! MAGIK RANBOW BRABUS - CW, КЧК, Лучший Кобель, Победитель Клуба! Брабус закрыл титул Чемпион Национального Клуба Породы! Magik Rainbow GENERAL -CW, jCCC, Junior Best Of Breed, Best Of Breed, BEST IN SHOW junior - 1, BEST IN SHOW - 1 !!! Magik Rainbow KLEOPATRA - CW, Best Puppy Breed, BEST IN SHOW puppy - 1 !!! Magik Rainbow ENERGY ELEGANCE - CW, CCC, Best Of Breed, BEST IN SHOW - 2 !! BEST IN SHOW junior - 2, BEST IN GROUP - 1 !!! Magik Rainbow DISKOVERY - CW, JCAC, Junior Best Of Breed, Best Of Breed, BEST IN GROUP - 1, BEST IN SHOW junior - 1, BEST IN SHOW - 3 !!! Magik Rainbow GENERAL - JCAC, Junior Best Of Breed, Best Of Breed, BEST IN GROUP-1, RES. BEST IN SHOW JUNIOR & BEST IN SHOW-1 !!! Magik Rainbow KLEOPATRA- Baby Best Of Breed, BEST IN SHOW baby - 1 !!! 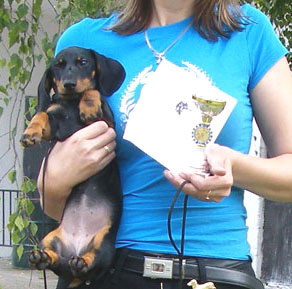 Magik Rainbow BENTLEY - Junior Winner National Dachshund Club of Russia, Junior Best Of Breed, Best Of Breed, BEST IN SHOW junior - 2 !!! MAGIK RAINBOW DISCOVERY - JCAC, JBOB, BEST IN SHOW JUNIOR-4!!!! MAGIK RAINBOW DISCOVERY - JCAC, JBOB, BOB, BEST IN GROUP-1!!! Magik Rainbow ORDINAR - CAC, CACIB, BOS, BEST IN GROUP-1 & BEST IN SHOW-3 !!! Magik Rainbow BRABUS - JCAC, Junior Best Of Breed, BEST IN SHOW JUNIOR-3 !